Mountain Hiking Holidays Blog: "To the Pacific in a jiffy"
The Iver Expert enters the Miraflores Locks on the Panama Canal! Seeing the Panama Canal was a bigger thrill than any of us expected. To finally see it after knowing about it for all these years...it felt like reaching a goal that you never knew you had. We had a wonderful lunch in the lockside restaurant and ended up spending half the day here. 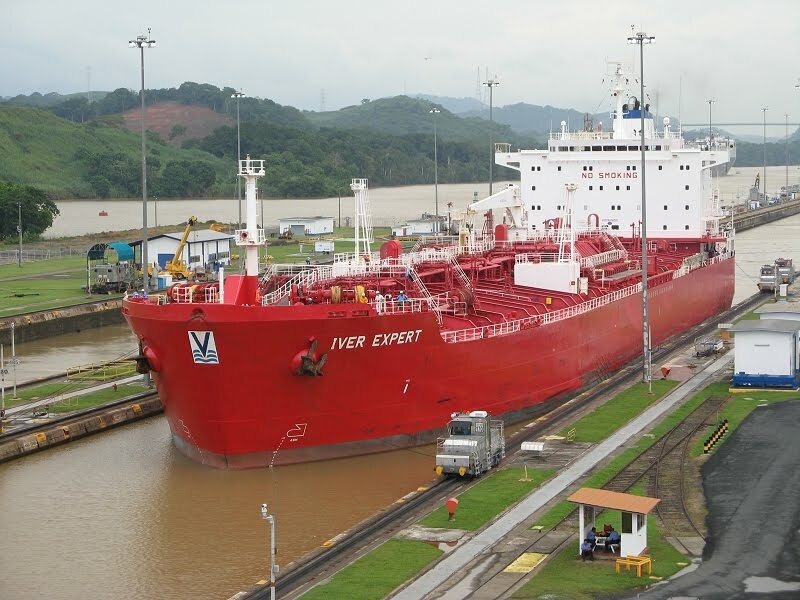 The words from the Animaniacs "Panama Canal" song kept running through our heads, "You can sail a cargo ship from sea to shining sea through the Panama Canal for a nominal fee." The "nominal fee" averages about $80,000, cash only, no credit cards!